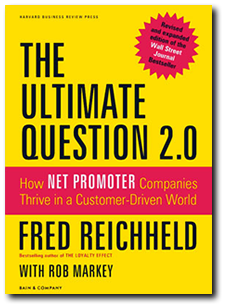 The Net Promoter Score is calculated based on responses to a single question: How likely is it that you would recommend our company, product, or service to a friend or colleague? The scoring method for this answer is most often based on a 0 to 10 scale. 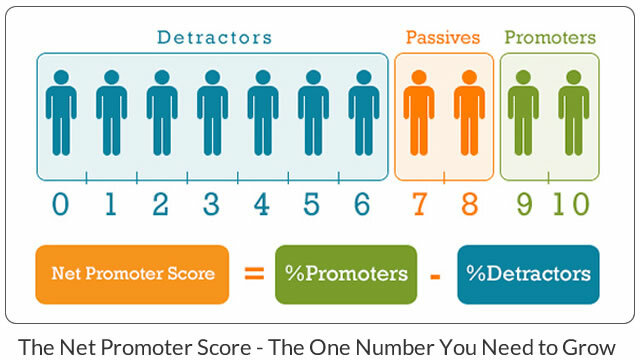 (NPS) can be used to gauge the loyalty of a firm’s customer relationships. It serves as an alternative to traditional customer satisfaction research. NPS has been widely adopted by more than two thirds of Fortune 1000 companies. (NPS) measures the satisfaction that exists between a service provider and a consumer. The score can be used to motivate an organization to become more focused on improving products and services for consumers. We call this group “passively satisfied” because this group is satisfied—for now. Their repurchase and referral rates are as much as 50 percent lower than those of promoters. Their referrals are likely to be less qualified and less enthusiastic. Most telling: if a competitor’s ad catches their eye, they may defect, as they are vulnerable to competitive offerings. Integration pricing varies, depending on current platforms & level of automation.